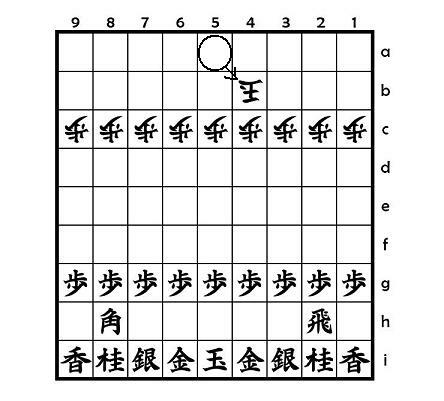 The diagram #1 shows the position where Hamster made the 1st move of K5a-4b. 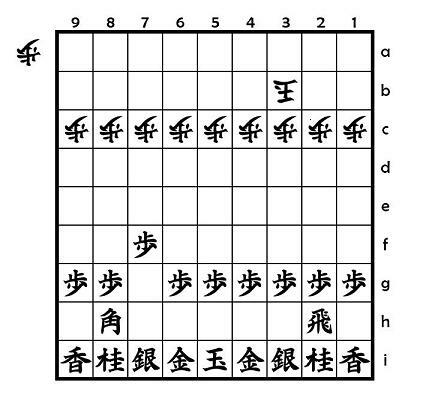 Before this move, all his nine Pawns from 1st to 9th file were isolated or not connected by his King. However, by moving his King from 5a to 4b, the 3 Pawns from 3rd to 5th file are now protected by his King. It is time for me to make the second move. What piece should I move? Remember my direction #1. 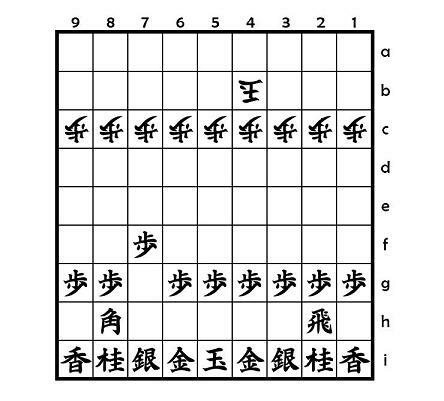 It says "Open your Bishop's diagonal line as your first move." So I am to move the Pawn on 7g to advance to 7f. The diagram #2 shows the position after I made the second move of P7g-7f to open my Bishop's diagonal line. The pawn advancement to 7f enabled my Bishop to move to the five squares such as 3c, 4d, 5e, 6f and 7g in my next turn. Unless Hamster's pawn on 3c is protected by his King, then I can promote your Bishop with taking it by Bx3c+ in your next move. But if I do that, the promoted Bishop will be immediately captured by his King since it protects the 3 pawns from the 3rd to 5th files now. So it will be a bad move to take the Pawn on 3c in my next turn. After the second move, Hamster slid his King from 4b to 3b horizontally. The diagram #3 shows the position of 3. K4b-3b. Since my Bishop's diagonal line is towards the square of 3c, Hamster's King must keep protecting that square. For example, if his King moves to 5b instead of 3b, then I can take the Pawn on 3c by my Bishop with promotion since the Pawn on 3c becomes isolated. In other words, the second move of my P-7f succeeded in restricting the movable spaces of Hamster's King effectively. Now, what next move should I make? My Bishop works well at this position, while my Rook does not so much. My Rook can move only horizontally now. It is time for me to think about how to use your Rook vertically. My next move should be the preparation for that. The answer is P7f-7e, taking vanguard position on the 7th file.